InteracTables offer multi-touch functionality in six unique housing options. Each design is available in 32”, 42”, 46”, 55″ and 65” screen sizes with room for customization (color, display height, angle). InteracTables are the perfect complement to video walls, allowing users to swipe images, videos and web pages from table-to-wall by using optional software. Embedded PC optional. This improvement on our Adjustable housing design features a motorized tilt mechanism which makes touch screen angle adjustment possible with the push of a button. The new Auto-Adjustable design also allows users to conduct fine-tune angle changes (0-90), whereas previously only 30/60/90 degree angles were possible. This ensures a comfortable interactive experience, whether you are collaborating, presenting, or reviewing information. As with all other housing options (including height, color, and logos) are available. The Flow-Thru and Staple housing are sleek, modern, and fabricated with high quality materials; it is a perfect fit in luxury car dealerships. These InteracTables will impress your customers as much as the cars will –ultimately adding to the overall experience in the dealership. Tablets are an increasingly common tool of salespeople in car dealerships. InteracTables takes it a step further by presenting the same information in a bigger way, allowing salespeople to give customers their personal space (rather than having to crowd around a small tablet or brochure), and making customers feel that they are driving the decision-making process. 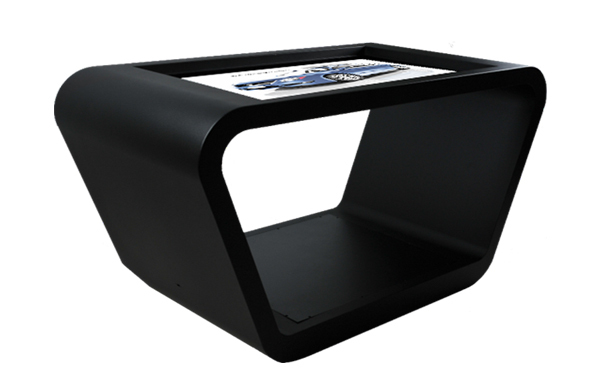 The Pedestal design was the first InteracTable design created by GPO Display. it is designed for placement in a variety of environments, from kid-friendly educational or museum applications to high-traffic retail settings. Whether it is a third-party media player or a large PC, the Pedestal can handle it all with its sturdy base and spacious cabinetry. 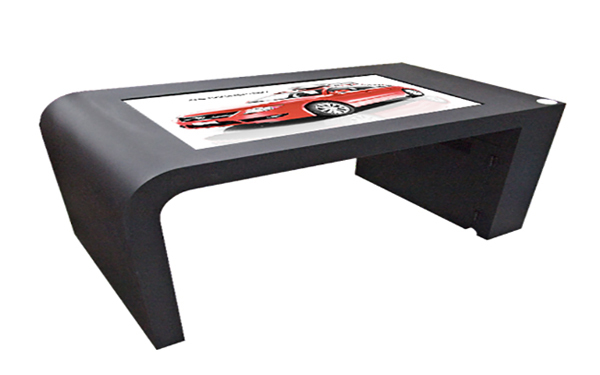 You can even add a rubber bumper around the table edges to make a truly kid-safe table. What do your visitors do while waiting at the lobby? Are they scrolling through their phone or thumbing through an old magazine? This waiting time is an opportunity for your visitor to learn about you and your product. The lobby design (also described as a “coffee table”) is simple, and easy for anyone to approach. Combining the Lobby InteracTable with an interactive presentation provides a way to share information about your company’s unique message, product line up, and history. Most touch screens cannot be installed with the LCD panel facing upward due to ventilation and other concerns. 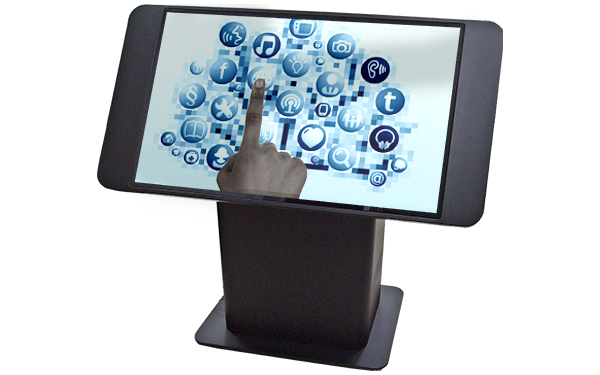 Our Touch-Ready displays are rated for use on their back in permanent or temporary table applications. 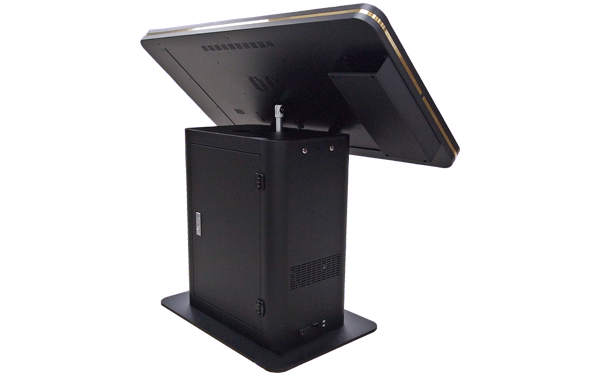 This gives the you the freedom to add touch screens into existing conference room tables, retail environments, or even placement on a mobile cart. Touch-Ready screens are also unique in that they feature an entirely smooth, glass surface with no protruding bezels. This makes them easy to drop into existing tables without a significant drop-off from the surrounding table to the touch surface. Upgrade to 32 simultaneous touch points for Infrared equipped tables. Available in sizes ranging from 32″ to 55″. An optional rubber bumper for creating additional user safety and kid-friendly environments.